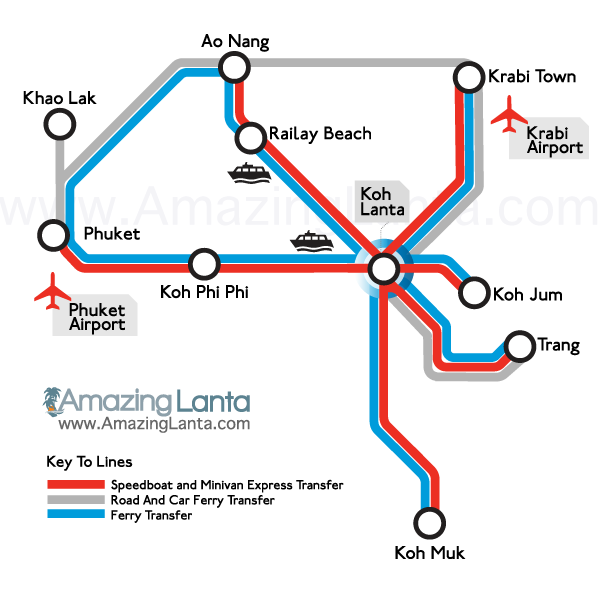 The Phuket to Ao Nang ferry departs daily with a journey time of 2 to 2.5 hours. The ferry between Phuket and Ao Nang operates all year. However in low season (May to October) the ferry may cancel trips due to the winds changing directions creating unpredictable large waves. In high season the ferry may be very crowded and an alternative would be to travel by road using the public minivans.